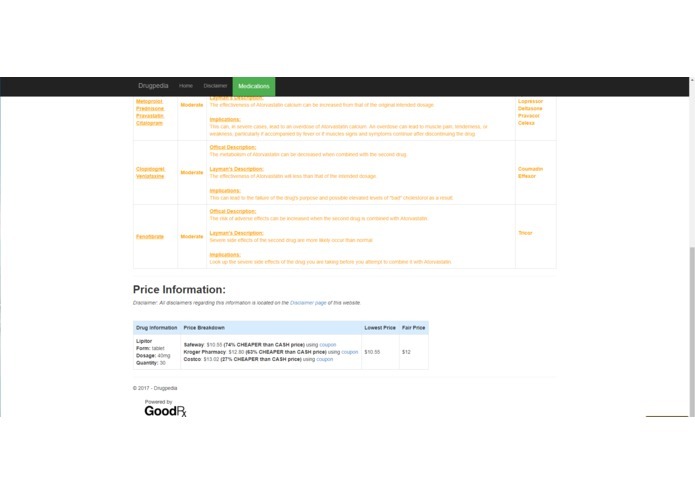 An online reference for drug interactions and drug prices using the RxNav database and GoodRx APIs. I worked maintaining the ASP.NET framework and writing the majority of the software that runs the site. I also figured out how to implement the GoodRx API using C#. 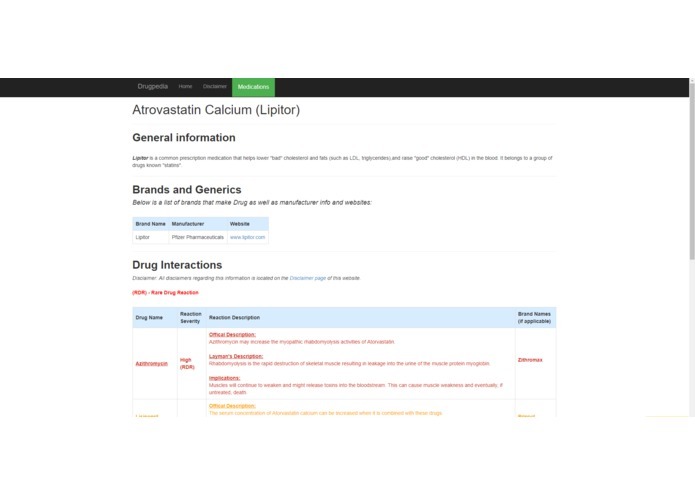 I worked on finding the effects of combinations for various medications, while also finding the generic brand and manufacturers of the drugs respectively.